Distance: 2000m; Stake boats and buoyed course. Conditions for May 13 heats: Good racing conditions with warm temps an negligible wind. Conditions for May 14 semis and finals: Heavy rains, which compressed the racing schedule and cancelled minor finals. 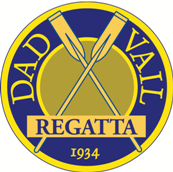 Click here for the Dad Vail Web Site for more information about the regatta. Click here for full results from the regatta. CWRU advanced directly to the Grand Final. CWRU advanced to the Semi-Final. CWRU advanced to Petit Final.